Graphic yet graceful, the Echo Wall Light by Porta Romana features two interlocking circular rings that connect to an elegant stem. The stylish laser cut profile resembles that of a delicate piece of jewellery. Hand-crafted from polished brass, the Echo Wall Light has a strong geometric shape that works beautifully with Art Deco inspired interiors. Also available in a plaster white finish. 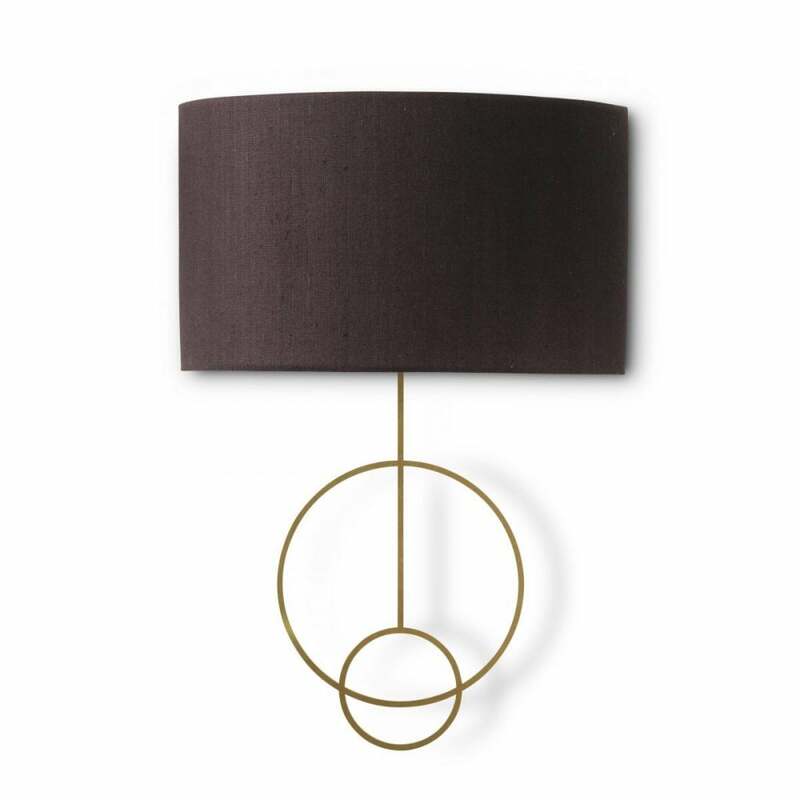 Different in character but equally as striking, complete with a silk linen lampshade in a dark charcoal hue. This wall light can be adapted for use in bathrooms. Make and enquiry for more information.